In the Russian city of Rostov-on-Don, three Crimean Tatars were detained, namely, Remzi Bekirov, Osman Arifmemetov and Vladlen Abdulkadyrov, who were not at home during illegal searches by the FSB of the Russian Federation in the occupied Crimea the day before. ❗️СРОЧНОЗАДЕРЖАНИЯТолько что следствие сообщило о задержании еще троих крымских татар, активистов, в г…. Опубліковано Крымская солидарность Четвер, 28 березня 2019 р. According to the Crimean Solidarity, yesterday, March 27, searches were conducted in the houses of these people in the annexed Crimea, but they were not found. Osman Arifmemetov and Remzi Bekirov are civilian journalists and streamers of the Crimean Solidarity. And Vladlen Abdulkadyrov was engaged in the organization of parcels and transfers to political prisoners in custody. 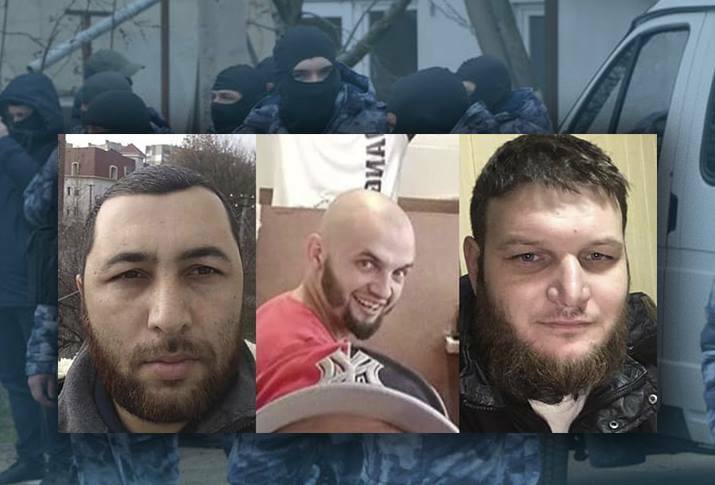 Last night, the Kiev District Court of Simferopol ruled that Tofik Abdulgaziyev, Rustem Seytkhalilov, Akim Bekirov, Seytvili Seytnabdiyev, Farhat Bazarov, Erfan Osmanov, and Seyran Murtaz who were detained during mass searches will be arrested until May 15, 2019. Emil Ziyadinov was also sentenced to pay a fine of 500 rubles. He came to support compatriots whose homes were searched. Another activist, Eskender Mamutov, was arrested for five days.